Andre 3000 Emerges To Spit A Verse On N.E.R.D. 's "Rollinem 7's"
Home>New Songs>N.E.R.D. Songs> Andre 3000 Emerges To Spit A Verse On N.E.R.D. 's "Rollinem 7's"
Andre 3000 comes through with the rare verse on "Rollinem 7's." Today has been a big day for hip-hop legends. First, Eminem released his comeback single, the vulnerable "Walk On Water." 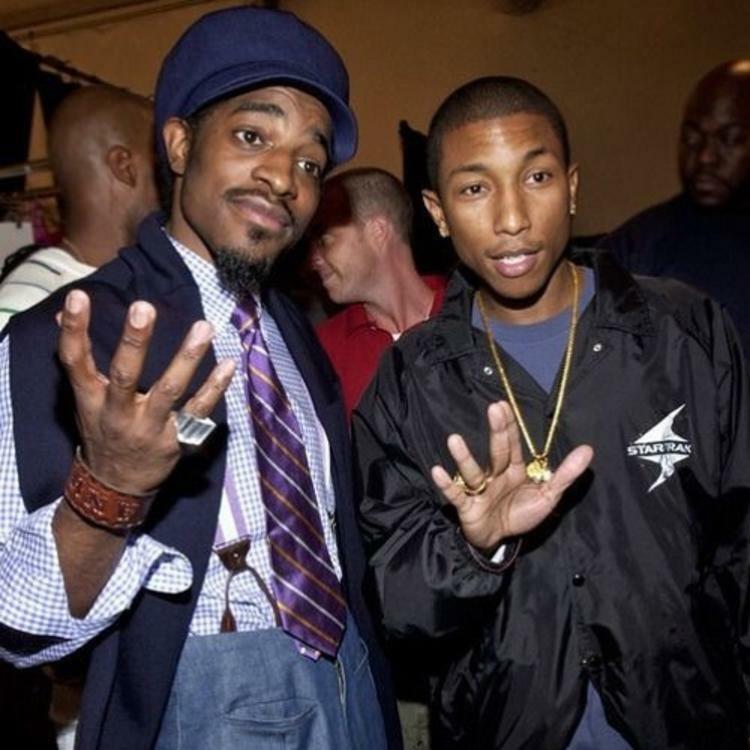 Now, another revered emcee has returned to the game, as Andre 3000 and N.E.R.D's "Rollinem 7's" collaboration has surfaced. The single, which was premiered Apple Music's Beats 1 Radio, finds Andre emerging from his proverbial hibernation to close out the five-minute instrumental odyssey. You might see the song's runtime and think, "wow, five minutes of Andre 3000?" But you would be wrong. The track's may be lengthy, but Andre only comes through for the song's final minute. Granted, it's still fire, but honestly, the verse is over before it really has a chance to begin. The majority of the track consists of N.E.R.D. 's evolving instrumental, which employs heavy use of vocal samples and 808s before switching it up for a second movement. Andre steps in to end the song on a high note, spitting those extraterrestrial bars that only he can deliver. For some context, the dude refers to himself as a quiche as still makes it sound hard. To be honest, however, "Rollinem 7's" could have been so much more, and as it stands, "Lemon" remains the superior No_One Ever Really Dies cut. Check out the song now, via HipHop N More. Eminem & Beyonce Team Up For Comeback Single "Walk On Water"
SONGS Andre 3000 Emerges To Spit A Verse On N.E.R.D. 's "Rollinem 7's"